Hi-de-Hi! is a British sitcom that aired from 1980 to 1988. It was set in a holiday camp during the 1950s and 1960s and was written by Jimmy Perry and David Croft, who had written Dad’s Army and It Ain’t Half Hot Mum. The series surrounded the lives of the camp’s management and entertainers, most of them struggling actors or has-beens. The inspiration was the experience of writers Perry and Croft. After being demobilised from the Army, Perry was a Redcoat at Butlins Pwllheli during the holiday season. The series gained large audiences and won a BAFTA as Best Comedy Series in 1984. 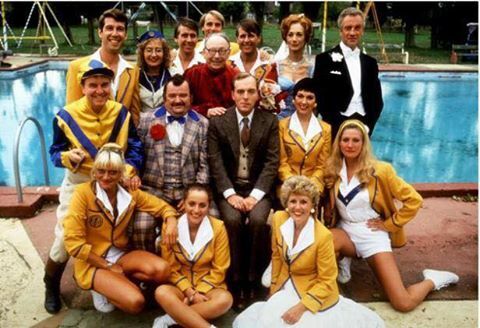 In 2004, it came 40th in Britain’s Best Sitcom and in a 2008 poll on Channel 4, Hi-de-Hi! was voted the 35th most popular comedy catchphrase. 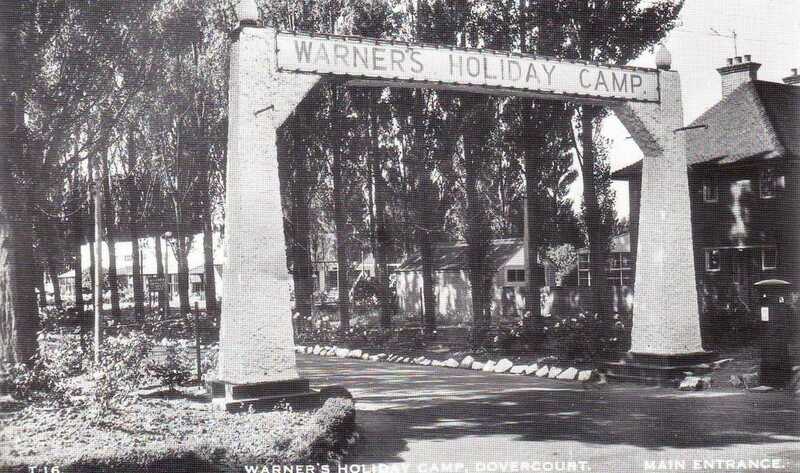 Between October 1979 and October 1987 Warner’s Holiday Camp was used for the filming Of the popular comedy series Hi De Hi. Hi-de-Hi! was set at Maplins, a holiday camp (Warner’s Holiday Camp Dovercourt) owned by entrepreneur Joe Maplin in the fictional seaside town of Crimpton-on-Sea, Essex. It is loosely based on Butlins, the holiday camp empire of Billy Butlin, his Redcoats replaced with ‘Yellowcoats’. Most episodes involved Ted Bovis attempting to scam the campers as well as the well-meaning Fairbrother, who also had to avoid the romantic approaches of Chief Yellowcoat and Sports Organiser, Gladys Pugh,(Ruth Madoc) as he was estranged from his wife but was initially reluctant to divorce her because of the social stigma attached. Most of the other characters in the show were out-of-work actors and entertainers at the tail-end of their careers. These consisted of Fred Quilley, a disqualified jockey; Yvonne and Barry Stuart-Hargreaves, two former ballroom champions and Mr Partridge, a failed Music Hall star reduced to performing Punch and Judy puppet shows for the children. All these characters were big stars in their prime, but were forced to take jobs at Maplins to due their careers failing, most of which were due to the chaos ensued by the aftermath of the Second World War. Other characters consisted of several young men and women who had summer jobs as Yellowcoats, and Peggy Ollerenshaw, an eccentric but ambitious chalet maid who dreamed of becoming a Yellowcoat. Despite regularly receiving 11,00 holidaymakers each year, the camp was closed for good at the end of the 1990 season. The site was later demolished for housing. 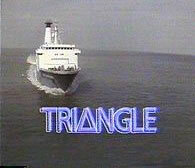 Triangle was a BBC soap opera in the early 1980s, set aboard a North Sea ferry which sailed between Felixstowe & Gothenburg and Gothenburg & Amsterdam. A third imaginary leg existed between Amsterdam & Felixstowe to make up the program title, but this was not operated by the ferry company. The series ran for three seasons before being cancelled, but is still generally remembered as “some of the most mockable British television ever produced”. The ferry used in the first series was the Tor Line’s MS Tor Scandinavia. In the second and third series this was replaced by the DFDS vessel Dana Anglia operating from Harwich, probably because she had a less intensive schedule and the longer time she spent in port made on board filming easier. The regular cast, playing the crew, could be joined by a constantly-changing guest cast playing the passengers as the ship sailed to interesting European locations. Advances in portable video cameras and recording equipment meant that the show could be videotaped on board a real ferry with more realism than using studio sets and more cheaply than using 16mm film which was normal for location television drama at the time. Unfortunately the plan was revealed to be flawed almost as soon as shooting began. Shot largely in the North Sea, the inclement weather made the exterior scenes appear gloomy and dull, and far from glamorous. Series 1: 5 January – 1 April 1981: 26 episodes. Series 2: 26 April – 20 July 1982: 26 episodes. 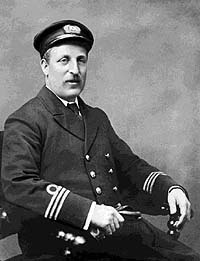 In the evening of 29 September 1913, Diesel boarded the post office steamer Dresden in Antwerp on his way to a meeting of the Consolidated Diesel Manufacturing Company in London. He took dinner on board the ship and then retired to his cabin at about 10 p.m., leaving word to be called the next morning at 6:15 a.m. His cabin was found empty during a roll call and he was never seen alive again. A search of his cabin revealed that Diesel’s bed had not been slept in, although his nightshirt was neatly laid out and his watch had been left where he could see it from the bed. His hat and overcoat were discovered neatly folded beneath the afterdeck railing. Ten days later, the crew of the Dutch boat Coertsen came upon the corpse of a man floating in the ocean of the North Sea near Norway. The body was in such an advanced state of decomposition that it was unrecognizable and they did not bring it aboard. Instead, the crew retrieved personal items (pill case, wallet, ID card, pocket knife, eyeglass case) from the clothing of the dead man, and returned the body to the sea. On 13 October these items were identified by Rudolf’s son, Eugen Diesel, as belonging to his father. There are various theories to explain Diesel’s death. His biographers, such as Grosser (1978) present a case for suicide, and clearly consider it most likely. Conspiracy theories suggest that various people’s business or military interests may have provided motives for homicide, however. Evidence is limited for all explanations. Shortly after Diesel’s disappearance, his wife Martha opened a bag that her husband had given to her just before his ill-fated voyage, with directions that it should not be opened until the following week. She discovered 200,000 German marks in cash and a number of financial statements indicating that their bank accounts were virtually empty. The club was established in 1877, and reached their first cup final in 1891, losing to Clapton in the final of the Essex Senior Cup. In 1898 they moved to the Royal Oak ground and also reached the final of the FA Amateur Cup, losing 1-0 to Stockton. However, they did win the Essex Senior Cup, beating Leytonstone. In 1934-35 the club reached the first round of the FA Cup, but lost 3-0 at Bristol Rovers. In 1935 the club became founder members of the Eastern Counties League,and shared the first championship with Lowestoft Town. The following season they reached the FA Cup final in 1937 the club left the Eastern Counties League to play in the Essex County League, which they won at the first attempt, but returned after a single season. 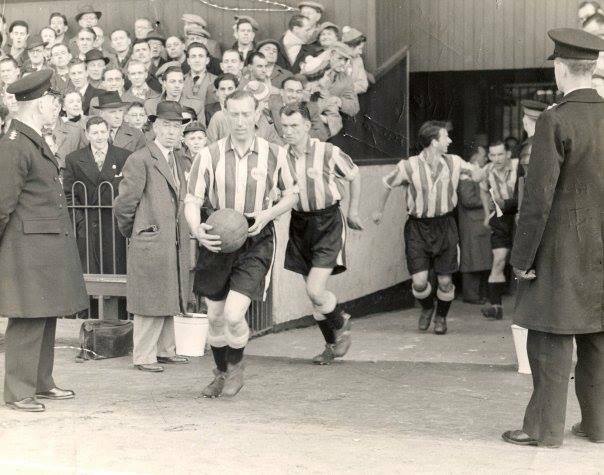 In 1938 a record attendance of 5,649 was set during the Amateur Cup quarter final match against Romford. They reached the final of the Amateur Cup in 1953, but lost 6-0 to Pegasus at Wembley Stadium in front of a crowd of 100,000. The following season they reached the FA Cup first round again, but lost 3-2 at home to Headington United. The first round was reached again in 1961-62 and 1963-64, but the club suffered heavy defeats on both occasions, losing 5-1 at Torquay United and 8-2 at Crystal Palace. In 1964 the club joined Division Two of the Athenian League. Champions in their first season, they were promoted to Division One. After finishing runners-up the following season, the club were promoted to the Premier Division. They remained at that level until 1973, when they switched to Division Two of the Isthmian League. With a third-place finish in 1976-77 they were promoted to Division One, also reaching the first round of the FA Cup again, where they lost 3-0 at home to Enfield in a replay after a 0-0 draw. However, they were relegated in 1979-80 and after finishing bottom in 1982-83 the club dropped into the Athenian League for one season, before returning to the Eastern Counties League. In 2002-03 they were relegated to Division One of the Eastern Counties League, but finished runners-up in their first season to make an immediate return. They remained in the Premier Division until resigning on 9 February 2010, and subsequently joining the Premier Division of the Essex & Suffolk Border League for the 2010-11 season. 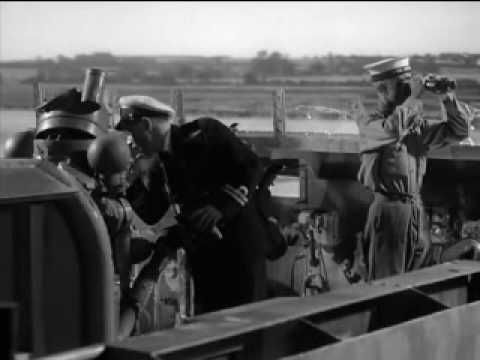 The Story of HMS Amethyst is a 1957 British war film that tells the story of the British frigate HMS Amethyst caught up in the Chinese Civil War. 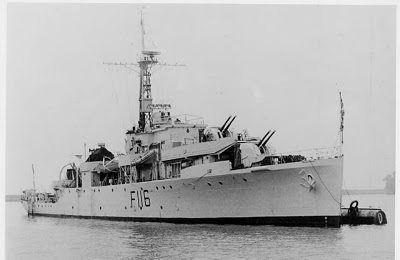 On 19 April 1949, the Royal Navy frigate HMS Amethyst sails up the Yangtze River on her way to Nanking, the Chinese capital, to deliver supplies to the British Embassy. Suddenly, without warning, People’s Liberation Army (PLA) shore batteries open fire and after a heavy engagement, Amethyst lies grounded in the mud and badly damaged. Fifty-four of her crew are dead, dying or seriously wounded while others deteriorate from the tropical heat and the lack of essential medicines. The local Communist official Colonel Peng (played by Akim Tamiroff) is adamant: either accept responsibility for the entire incident, or the Amethyst will remain his prisoner. After an attempt by HMS Consort to tow Amethyst off the mud bank fails, Lieutenant Commander John Kerans (played by Richard Todd) decides to risk steaming down the Yangtze at night without a pilot or suitable charts. After some subtle alterations to the ship’s outline to try to disguise her, Amethyst slips her cable and headed downriver in the dark following a local merchant ship, which Amethyst uses to show the way through the shoals and distract the PLA. The amethyst was reprieved from the breakers yard to allow producer Herbert Wilcox to use it in the film. Blank ammunition was used and the sound of explosions could be heard from Parkeston, the river Orwell and Stour between Ipswich and Manningtree. Due to the summer season the film unit and actors were dispersed between Felixstowe, Harwich, Dovercourt and Ipswich. The wardrobe was provided by Bernard’s of Harwich and H.M.S. Ganges Being outside a radius of 50 miles from London the film company took on ‘extras’ locally and, mercifully, as it happened to be Ganges’ leave period, a large number of Chief and Petty Officer instructors and other ratings volunteered, in many cases using their own uniform. A number of ex-naval cutters were bought and converted into junks; these were all sailed by naval ratings. After ten days in the studio a reduced film unit had to return to Harwich on the 5th October to film the Magpie sequences which simulated the Amethyst underway. These included the Trinity House vessel Triton, which was rigged by the Art Department to look like a Chinese river steamer; this was shot at dusk to simulate night. Her ship’s company had to be dressed as coolies, complete with hats. Crowd of more than 500 people gathered outside the Regal Cinema, Dovercourt on Thursday evening 25th July 1957, to see the arrival of naval, military, and borough dignitaries for the gala performance provincial premiere of the film, much of which was made in Harwich harbour. The guests, who included the Mayor of Harwich, Councillor C.C. Thurlow, the Deputy-Mayor Councillor Mrs, H.W. Brennan, the town clerk, Mr. T.B.A. Moonlight, county and borough councillors, and local magistrates, walked through a guard of honour of 60 Sea Cadets. They were greeted in the foyer by Mr. E.W.A. Bostock, on behalf of Major D.F. Bostock, proprietor of the Bostock Cinema Circuit; The Mayoress was presented with a bouquet by Mrs, Watson, whose husband Mr, Lynwood E. Watson, the cinema manager, also welcomed guests. The film was the 15th most popular movie at the British box office in 1957. Cox’s Pond is some 150 metres from the High Lighthouse on the Main Road at Harwich, and a plague tells us that it is “a fragment of the ditch that once surrounded Harwich.” It comes as a surprise to find that it was dug out to be a horse pond in 1808, and that for a hundred years or more before that date there had been a Cox’s Pond in what is now St. Nicholas’ churchyard. The original pond was described as a moat or ditch forming part of the defensive earthworks. It was not a horse pond or a watering place for hogs, but it was used for storing timber in the water until it was needed for making masts for ships. The identity of Mr Cox who gave his name to the pond is not known. He may have been the man who used it to store his timber. On January 16th, 1808, a storm tide broke through the sea wall, flooded the Ordnance Buildings to a depth of three feet, and destroyed the old horse pond. 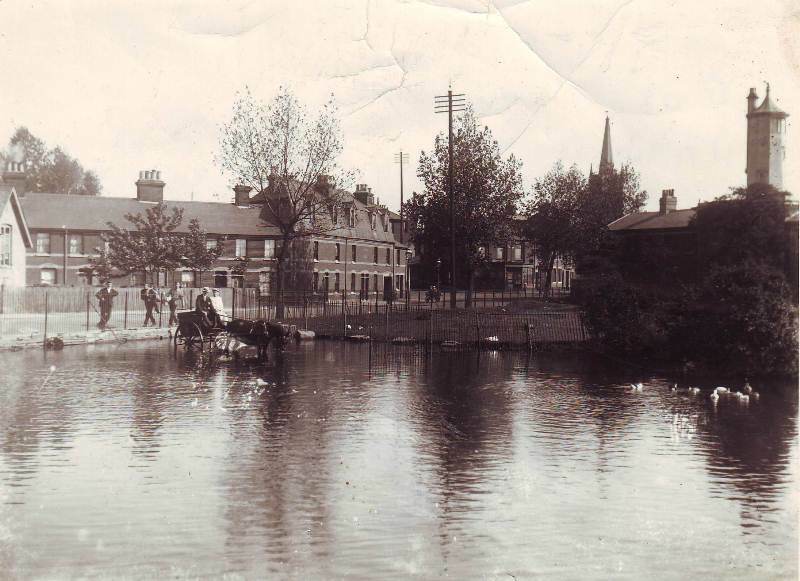 3rd February 1903 the war department agreed to transfer a strip of land ten feet wide round Cox’s Pond to the corporation, for the purpose of making it into an ornamental duck pond with seats for public use. It was no longer needed as a horse pond, for they could be watered at the new Fountain erected a short distance away at the end of West Street. Dateline Diamonds is a 1966 British music-film. The film was a low-budget B movie and released to support the main feature film Doctor in Clover starring Leslie Phillips. The film’s plot involves an international criminal gang who use the MV Galaxy (the ship which was the home of 1960’s pirate radio station Radio London) to smuggle stolen diamonds from the UK to Amsterdam. The film’s final sequence showing Ray Anton and Pro Forma, Mark Richardson and The Small Faces performing on stage was filmed during a genuine Radio London night at the Rank Ballroom in Watford. The film is supposedly about Radio London, and not a fictitious pirate – it mentions the station by name, and incorporates footage taken aboard the Galaxy. However, there is little in it to represent the station we all knew and loved. The Chantelles, Parkeston Quay 1965. 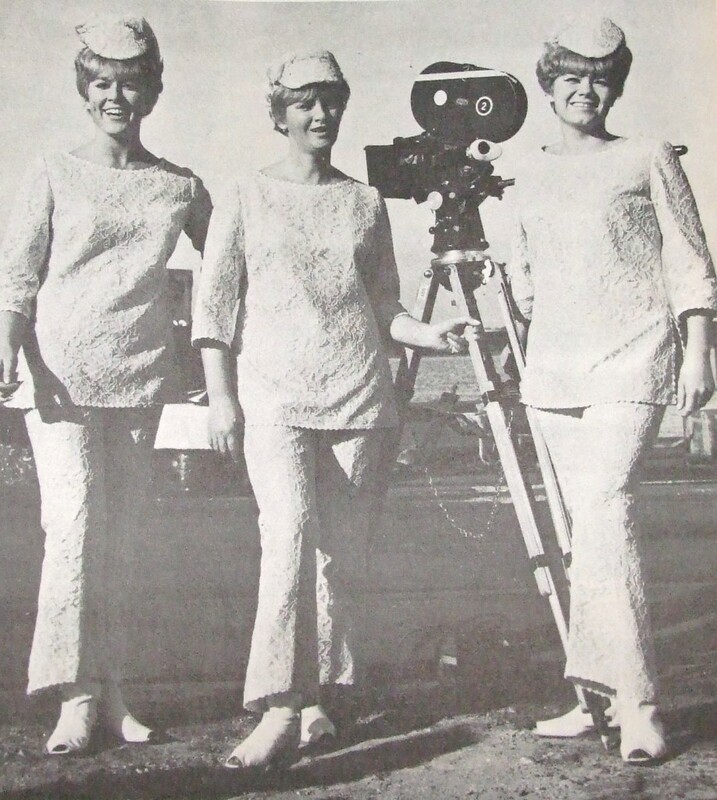 The place where the Chantelles are seen performing in their matching trouser suits is merely a fantasy offshore radio studio created at Pinewood film studios at Denham. It’s huge, roomy and nothing like the cramped conditions on the ships. When land-based characters turn on their trannies, the sound that comes out bears no resemblance to Big L or any of the other offshore stations. The movie might have seemed more realistic had Kenny Everett been given the ‘DJ Drew Meredith’ part, instead of a cameo, playing himself. Exterior locations included Parkeston Quay and Harwich, and the Rank Ballroom in Watford, Herts. ‘Dateline Diamonds’ was shot in the autumn of 1965. Street and place names in a town are a thing commonly accepted by the inhabitants as a means of identifying a place, or showing where they live. But how many people realise how the streets were so named. Where do you think your own street name came from?. The names can be named after royalty, a famous person, or have a connection with the local community itself. Here are just a few around Harwich, Dovercourt & Parkeston. 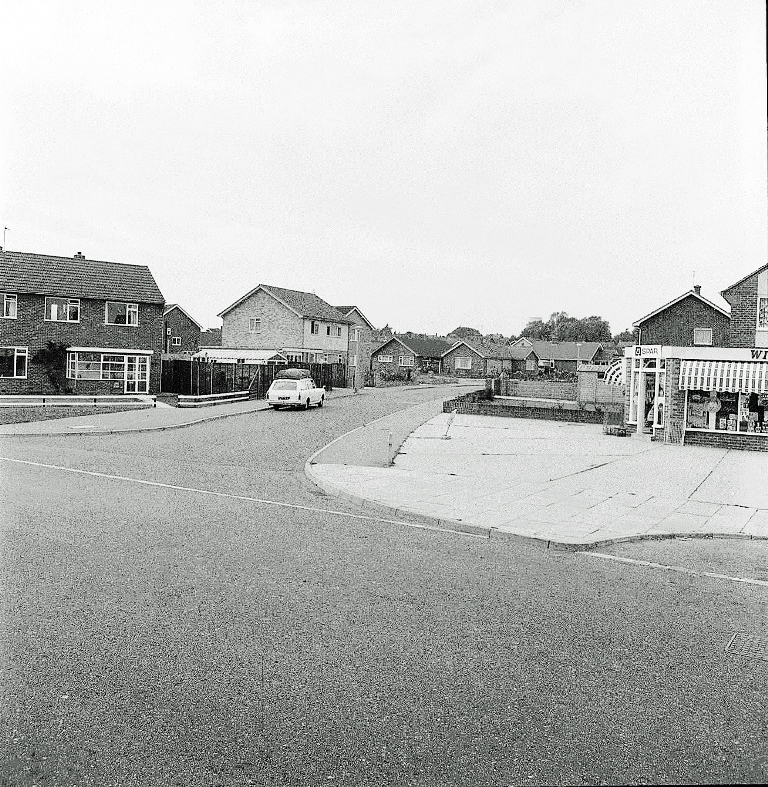 Abdy Avenue was named after self-made millionaire Mr Richard Combe Abdy, who was High Steward of Harwich in the 1920s. Mr Abdy also opened the band enclosure at Dovercourt Bay in July 1929, which seated up to 300 people on the seaward side of the bandstand. 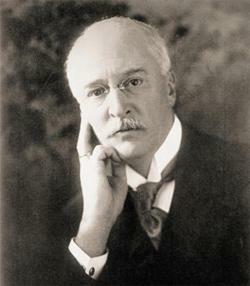 Following the 1920 sale, Michaelstowe Hall was acquired by “Richard Combe Abdy” (1869- 1938),he also owned property abroad including homes in Alexandria, Egypt, and in Switzerland. During his ownership of Michaelstowe Hall sixty gardeners were employed to help maintain the grounds and there is a well-known tale of Squire Abdy offering £1 to any of his guests who could find a single weed anywhere on the estate. During the 1920s the house and gardens were extensively improved and extended by Mr Abdy who also spent a vast sum on creating a rock garden around the ornamental lake. The grounds were notable for a collection of rare flowering and evergreen shrubs. The gardens were well known throughout the county and the ornamental rock garden around the lake was described as probably the finest in the country. A successful businessman, Mr Abdy began his career at Barings Brothers bank in London. He later went on to found the National Bank of Egypt, and became chairman of several other Egyptian insurance and investment companies. He was twice president of the British Chamber of Commerce in Egypt. Well known for his good humour and hospitality, his many house guests at Michaelstowe Hall included representatives from Harwich Police, and officers from visiting warships. Boy Scouts and Girl Guides from Harwich were invited to hold annual camps in the grounds. As High Steward of Harwich, Mr Abdy took a valued part in local affairs and one of his civic duties was to open the Dovercourt Band Enclosure on 14 July 1929 (later known as the Cliffs Pavilion). Mr Abdy died in Cairo in March 1938 from heart failure, aged 69. He was unmarried. 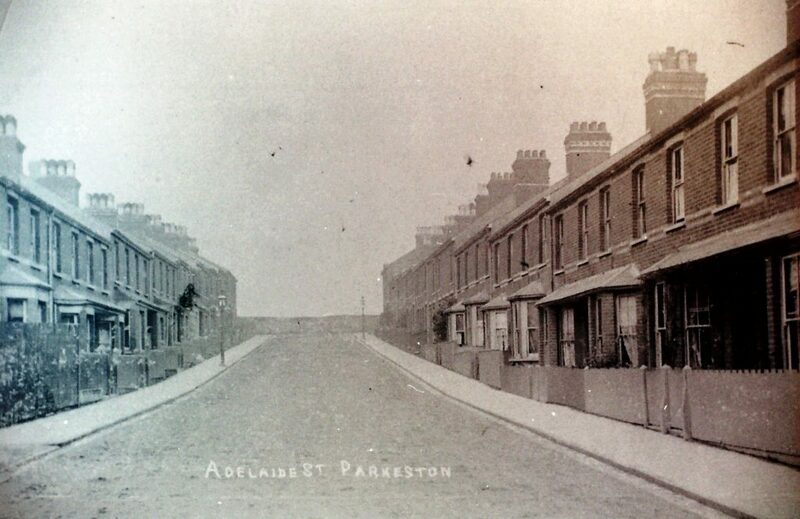 Developed in the mid 1880’s on much the same lines as other Parkeston streets, the name of the street takes its name from the Adelaide, a paddle steamer built in 1880, the first steel constructed vessel at Parkeston and the last paddle steamer. The street developed on both sides 1883-1885. 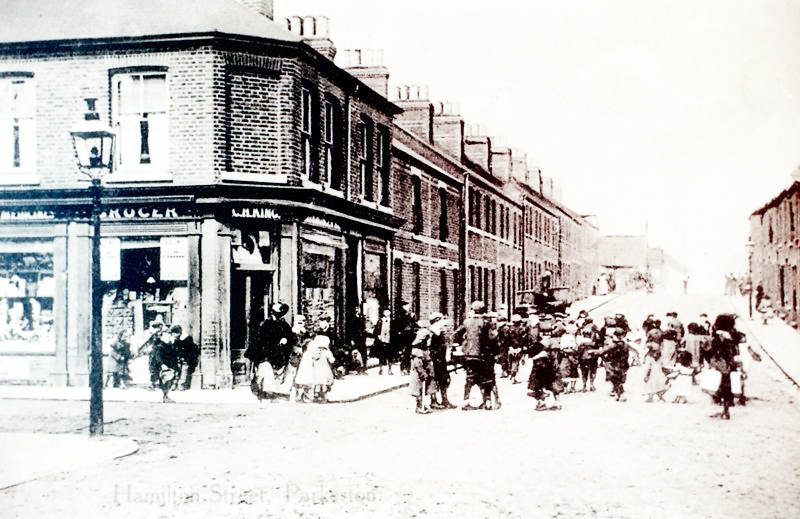 In 1897 the south west corner of the street provided the site for the local branch of the Co-operative Wholesale Society. Four generations of the Ainger family were Harwich sawyers working in Cann’s yard and the old naval shipyard in Harwich. Their family had a wood-working business where logs were carted on to the green and left there until they were needed. Then they would be taken across the road to the bungalow, and made into implements for Squire Garland and local farmers. A fair expanse of land was attached to the bungalow, and some of this was sold to make way for the new Dovercourt Bay Estate. The police houses and Ainger-road (named after the family) were built on it. Admiral Sir Albemarle Bertie.1st Baronet, Kcb, was a long-serving and at time controversial officer of the British Royal Navy who saw extensive service in his career but also courted controversy with several of his actions. Bertie won recognition for unsuccessfully defending his ship against superior odds in the American Revolutionary War. He was later criticized however for failing to close with the enemy at the Glorious First Of June and later for pulling rank on a subordinate officer just days before the capture of the French island of Mauritius and taking credit for the victory. Despite these controversies, Bertie was rewarded for his service with a baronetcy and the Order of the Bath. John Bagshaw m.p ,High Steward of the Borough 1842-1849. Former East India merchant who settled in Harwich, who took over the ship yard, and planned to build a new town at lower Dovercourt. He began in 1845 by building a mansion, Cliff House, in the grounds which had become Cliff Park. After his election to parliament in 1847 he took an active part in bringing the railway to Harwich. At the same time W.H. Lindsey, a London architect produced plans for Dover Court new town, and when a chalybeate spring was discovered in the grounds of cliff house Bagshaw built the spa which opened on the 28th August 1854 and incorporated a library, pump room, and a conservatory which was used as a reading and smoking room. 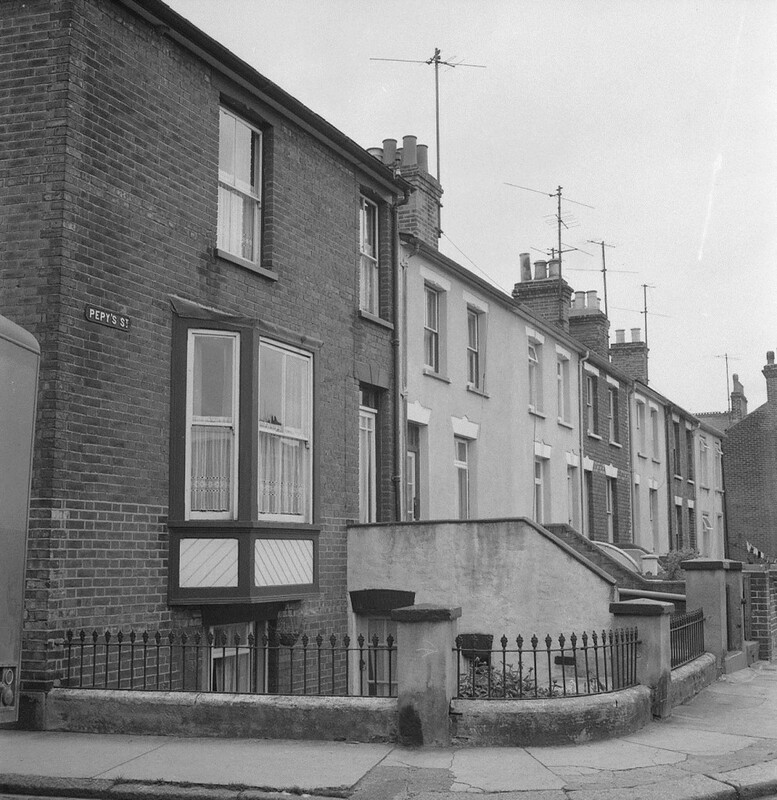 The first building was Orwell Terrace which Bagshaw’s son Robert took up residence at Banksea house at the seaward in in 1857. The slopes from Orwell Terrace to Mill Lane were landscaped, with a grotto, shelters and a Miniature waterfall. Unfortunately this all left Bagshaw in severe financial difficulties and he was declared bankrupt in 1859. He died in 1861 leaving the under Cliff Walk, Orwell Terrace, the east side of Cliff Road, The Cliff Hotel, the Queen’s Head Hotel, Victoria Street, the Spa and the circular facing Waddesdon road, to remind us of his grandiose plans. 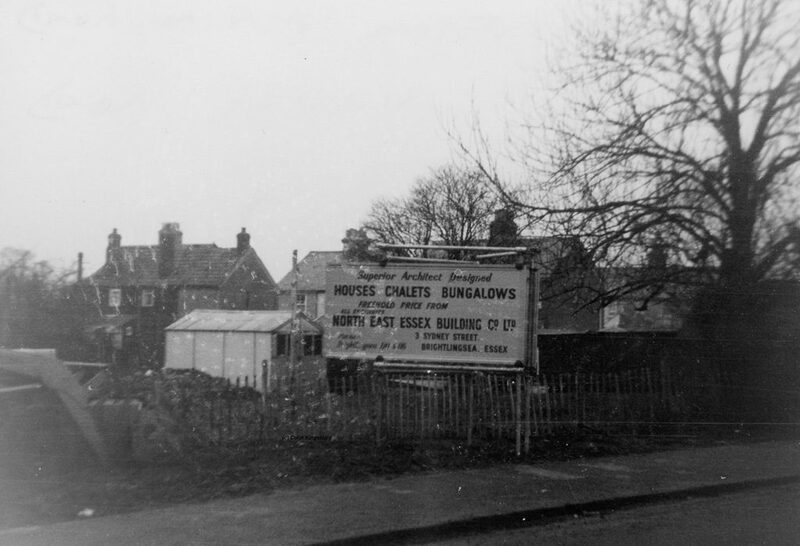 Charles Eves, moved his business from Suffolk to Dovercourt in 1935 and built between three and four hundred houses in the area by the time he retired in 1966. 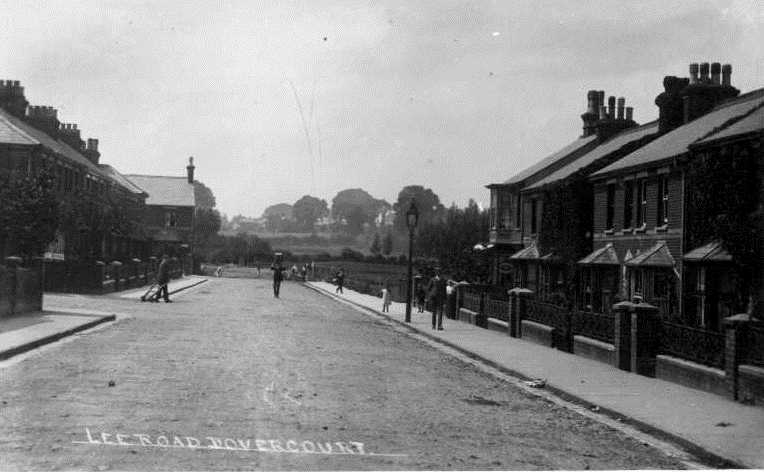 His first houses in Dovercourt were built on Ramsey Road after which he moved on to build the properties on Ashley and Valley Roads. 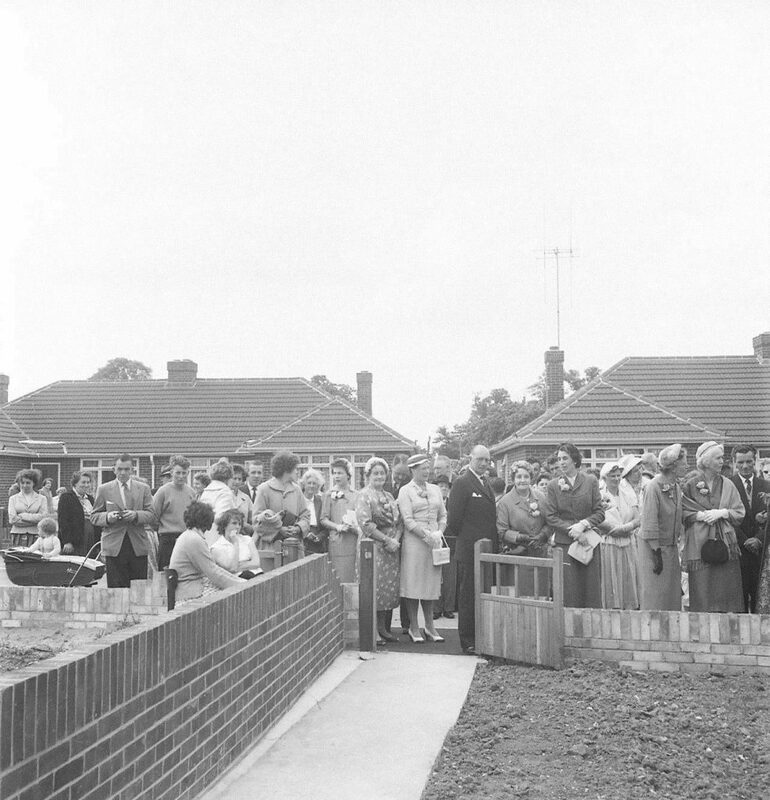 Charles Eves was not a man to hide his achievements and his name lives on in the form of Eves Road on the Dove House Estate alongside Beryl Road which recognises his secretary who served him throughout his time as a builder in Dovercourt and Harwich. 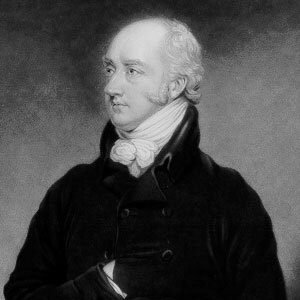 George Canning (1770-1827). Canning was a British statesman and politician who served as Foreign Secretary and briefly Prime Minister. Canning rose quickly in British politics as an effective orator and writer. His speeches in Parliament as well as his essays gave the followers of Pitt a rhetorical power they had previously lacked. Canning’s skills saw him gain leverage within the Petite faction that allowed him influence over its policies along with repeated promotions in the Cabinet. Over time, Canning became a prominent public speaker as well, and was one of the first politicians to campaign heavily in the country. Canning has come to be regarded as a “lost leader”, with much speculation about what his legacy could have been had he lived. 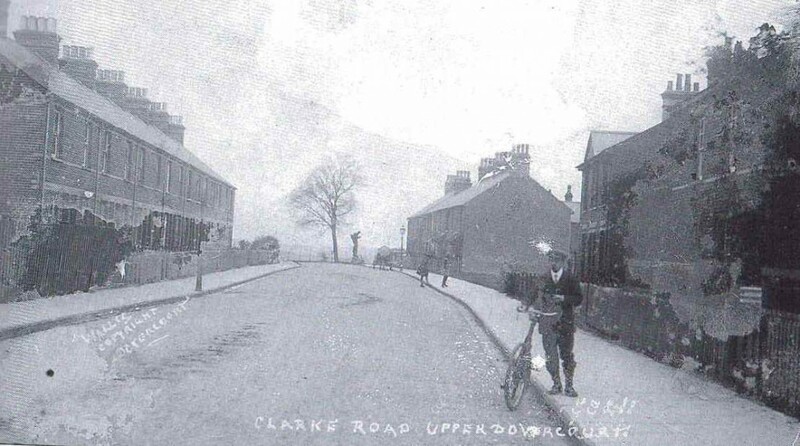 Parts of Clarkes Road had been built in 1912, but it was not until 1915 until the street be levelled, paved, metaled, flagged, channelled and made good. By the mid-1920s there was housing on both sides of the road. Mr Clarke was a landowner, and Vacuumatic was built on some of the land he sold, including the Clarkes Road area. Sir Edward Coke (1552-1634) was an English barrister, judge and, later, opposition politician, who is considered to be the greatest jurist of the Elizabethan and Jacobean eras. Born into a middle-class family, Coke was educated at Trinity College, Cambridge before leaving to study at the Inner Temple, where he was called to the Bar on 20 April 1578. As a barrister he took part in several notable cases, including Slade’s Case, before earning enough political favour to be elected to Parliament, where he served first as Solicitor General and then as Speaker of the House of Commons. 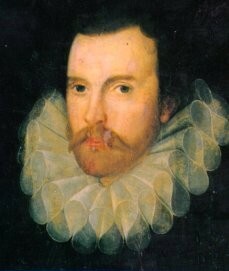 Edward Coke was born on 1 February 1552 in Mileham, one of eight children. The other seven were daughters – Winifred, Dorothy, Elizabeth, Ursula, Anna, Margaret and Ethelreda – although it is not known in which order the children were born. Two years after Robert Coke died on 15 November 1561, his widow married Robert Bozoun, a property trader noted for his piety and strong business acumen (once forcing Nicholas Bacon to pay an exorbitant amount of money for a piece of property). He had a tremendous influence on the Coke children; from Bozoun, Coke learnt to “loathe concealers, prefer godly men and briskly do business with any willing client”, something that shaped his future conduct as a lawyer, politician and judge. 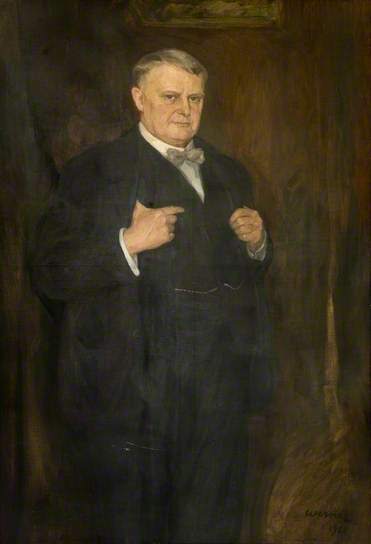 Edward Saunders (1864-1940) was Alderman and Mayor from 1912-1918. & 1927-1929 The firm of Saunders were well known builders in the area, employing 150 Workers making bricks and tiles. Some of the Buildings that were built by Edward Saunders include. 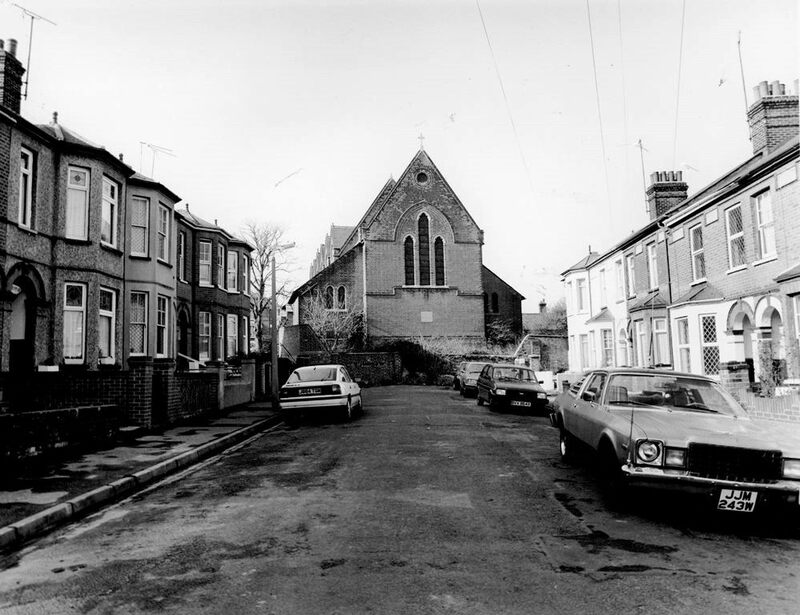 Wesleyan Methodist Church, the Empire Cinema, Harwich County Primary School, St.George;s School, Second Avenue Infants, Brooklyn Road, and Oakland Road. 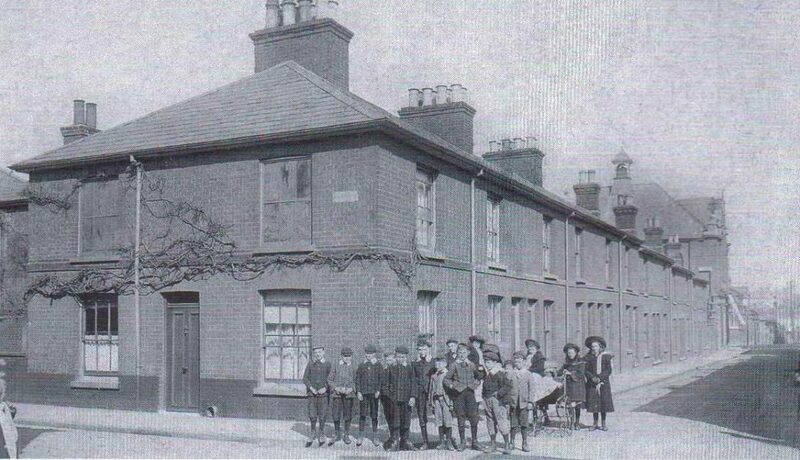 Foster Road was named after “The Foster Manufacturing Company”, The Corset factory in Foster Road, Parkeston had been located in the old custom house for a good many years. The factory opened before the 1914 war, making ladies corsets, bodices and underwear threaded with ribbon, and suspenders for men and women. When the war started, it made khaki shirts, bandoliers for the ammunition, and hospital garments for the wounded soldiers. Parkeston Quay had been used during World War I by the Royal Navy; the port was again requisitioned from the LNER at the beginning of World War II. 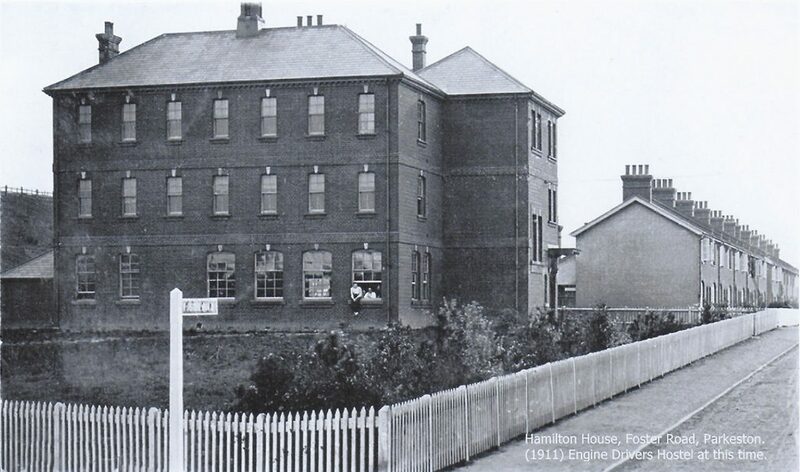 After a short period accommodated in the Station Hotel at Parkeston Quay, the accommodation and administration moved in 1940 to Hamilton House, the former Georgian customs house. A bunker was built under Hamilton House, and this opened in 1941 as an underground operations room. Fronks Road was developed centuries after its namesake. 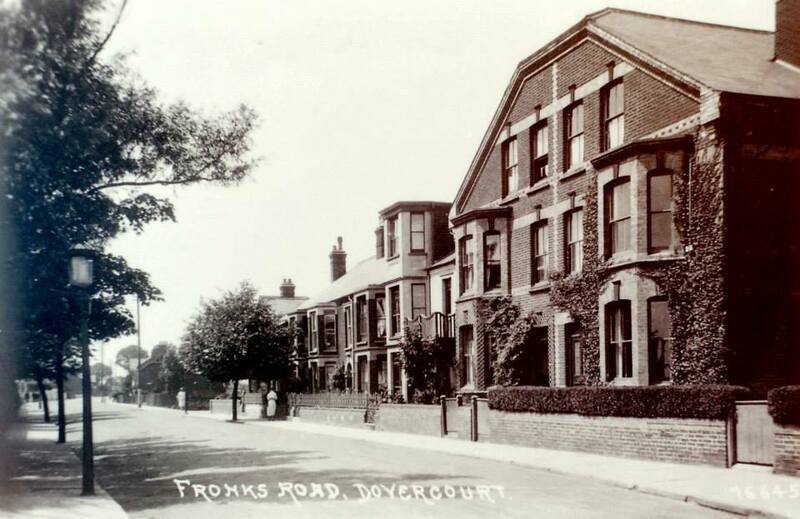 Fronks is actually a corruption of the name Fraunks which was an influential family in Dovercourt in the 12th century. The first mention of the name is recorded on the list of vicars at All Saints Church where one of the Fraunk’s was among the first rectors at the Church. Fronks road itself is thought to be named after a member of the family who owned land where the road now runs. Originally, the undeveloped road was called The Lanes and then renamed after the 12th century landowner when it was developed. Charles Algernon Fryatt (1872-1916) was a British mariner who was executed by the Germans for attempting to ram a U-boat in 1915. when his ship, the SS Brussels, was captured off the Netherlands in 1916, he was court-martialled and sentenced to death although he was a civilian non-combatant. International outrage followed his execution near Bruges, Belgium. In 1919, Fryatt was buried at All Saint’s Church, Upper Dovercourt. His coffin was carried from the station to the church on a gun carriage. His widow was presented with the insignia of the Belgian Order of Leopold which had been posthumously awarded the Belgian Maritime War Cross. A wing at the old Dovercourt Cottage Hospital – which was known as the Captain Fryatt Memorial Hospital. – was named in Fryatt’s honour. A public house in nearby Parkeston is also named in Captain Fryatt’s honour. Edgar Walter Garland. (1814-1902) was lord of the Manor when the Eastern Union Railway, later the Great Eastern Railway, built the line from Manningtree to Harwich, much of it across land owned by the Garlands. The line opened in 1854. Some twenty years later in 1875 the board of GER decided to build their own quay up river from Harwich. Negotiations with Edgar Garland resulted in a further 50 acres of Ray Island being sold to the Railway Board for this purpose. The docks and the newly created village were named after the Charles H. Parks, chairman of the Great Eastern Railway Company and the new Parkeston Quay opened for shipping in March 1883. Edgar Garland died without issue in 1902, and was succeeded by his nephew Arthur Nathaniel Garland. Developers often had their own ideas about what roads should be named on the estates they build. In the mid-1950s, Dovercourt builders Gordon wanted all three roads just off Wick Lane named Gordon. The old Harwich Borough Council and the Post Office agreed this was too much and eventually it was decided two would be sufficient, resulting in Gordon Road and Gordon Way. Augustus Henry Fitzroy, 3rd Duke of Grafton, (1735-1811). Between 1747 and 1757, he was a British Whig statesman of the Georgian era. He became Prime Minister in 1768 at the age of 33, leading the supporters of William Pitt , and was the youngest to have held office until the appointment of William Pitt the Younger 15 years later. However, he struggled to demonstrate an ability to counter increasing challenges to Britain’s global dominance following the nation’s victory in the Seven Year’s War. He was widely attacked for allowing France to annex Corsica, and stepped down in 1770 handing over power to Lord North. He first became known in politics as an opponent of Lord Bute, a favourite of King George III. Grafton aligned himself with the Duke of Newcastle against Lord Bute, whose term as Prime Minister was short-lived largely because it was felt that the peace terms to which he had agreed at the Treaty of Paris were not a sufficient return for Britain’s performance in the Seven Years War. Gwynne’s Limited was a City of London England engineering business, iron founders and pump makers founded in 1849 to capitalise on the centrifugal pump invented by James Gwynne (1804–1850). Mr J.E.A.Gwynne was a civil engineer who gave the site for St. Augustine’s Church at Dovercourt and persistently complained of the lack off sewers. Hamilton street was named after the iron hulled paddler and also the chairman of the Great Eastern Railway – Lord Claud Hamilton, (1843-1925). The Paddle steamer was a favourite of the company and passengers alike. she lasted longer than later steamers of the fleet and served on the GER Continental route from Harwich. She is credited with enhancing the popularity of this service as she was large, comfortable and well appointed. Named after ship brothers Roger and John Hankin who mastered important voyages in battles against Spain. 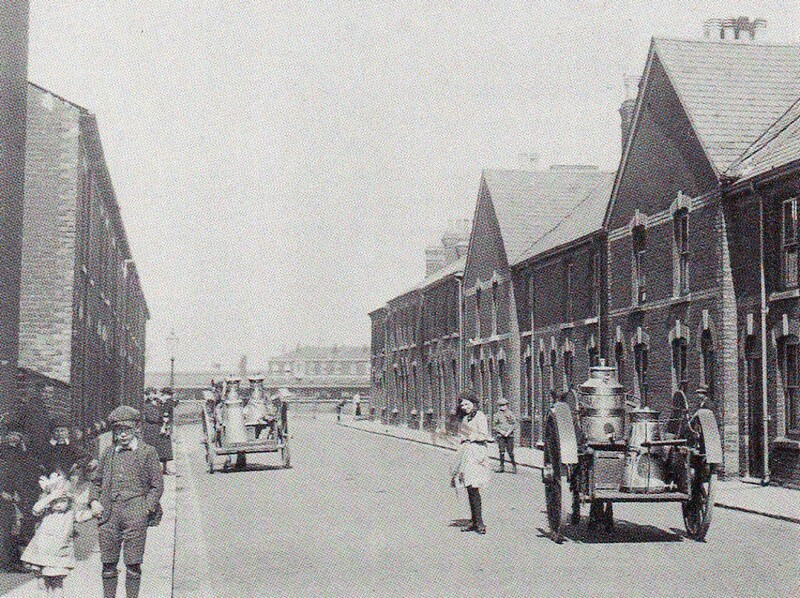 The coming of the railway and the creation of Parkeston saw Dovercourt begin to grow as a shopping area and seaside resort. 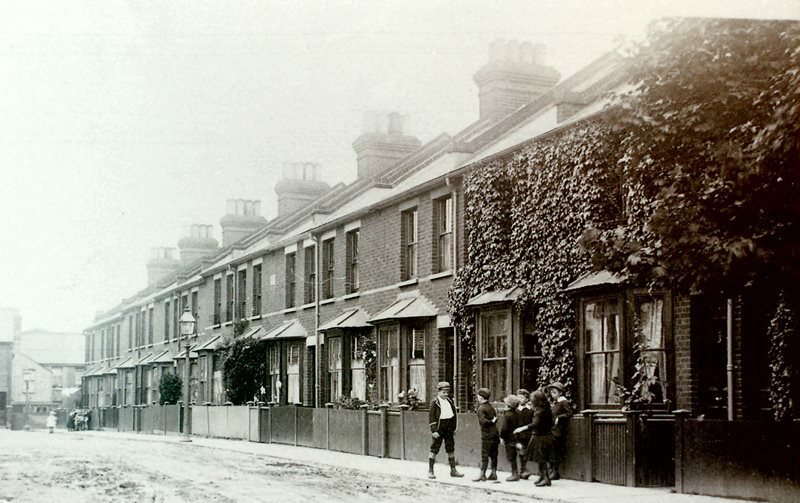 The demand for houses increased and several new roads were built odd the town centre between 1860 and 1870. Hordle Street and Hordle Place are named after the Reverend. 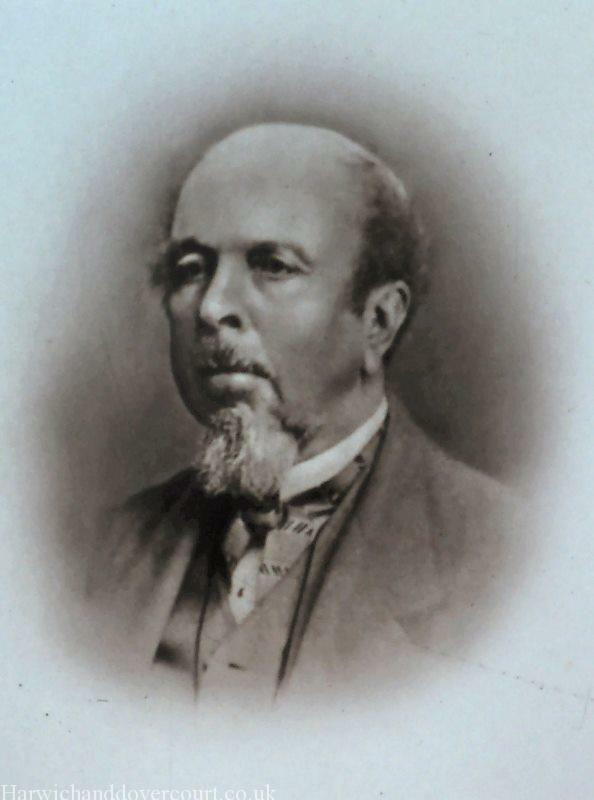 William Hordle, popular minister of the Independent Chapel in George Street. Dovercourt builder, Cresswell, was responsible for building and naming another road of Will Lane but changed the spelling and the road became Kreswell Grove. Laurel Shrub, Known as laurel by the Greeks who wore it as a garland round their heads. Also known as Bay laurel and Sweet bay. One of the most versatile herbs, Bay laurel can be grown as a tall evergreen tree with its glossy foliage or in containers often as standard. Hardy to around -7C. Another great advantage of a container bay laurel is that it can be a houseplant in the winter. The leaves are used in the French herb mixture ‘bouquet garni’ and it is often used to flavour stews and meat dishes. “Henry Lee” was born on the 31st of August, 1823, and was the eldest son of Mr Henry Lee, who died in 1867, senior partner of the firm of Henry Lee and Son. The firm was originally John and Henry Lee, builders and contractors, of Chiswell Street, Finsbury; After Henry Senior’s death, his two sons, Henry and John, took over the running of the firm. Among other contracts carried out by the firm during Mr. Henry Lee’s connection, Harwich breakwater ; deepening Harwich harbour ; extension of sea-wall to Dovercourt ; sea-wall, groyne, and parade. After Henry Lee went bankrupt Lee Road was completed by the Chelmsford Land Company. 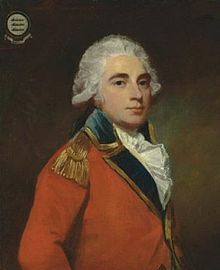 Horatio Nelson, 1st Viscount Nelson, 1st Duke of Bronté, KB (1758 -1805) was a flag officer famous for his service in the Royal Navy, particularly during the Napoleonic Wars. He was noted for his inspirational leadership and superb grasp of strategy and unconventional tactics, which resulted in a number of decisive naval victories. He was wounded several times in combat, losing one arm and the sight in one eye. Of his several victories, the best known and most notable was the Battle of Trafalgar in 1805, during which he was shot and killed. Harwich has always had close links with its continental friends in Scandinavia. So when the devastating torrents of water ripped through the seawall at Bathside in 1953 and flooded the area, foreign help was at hand. The Norwegian and Swedish governments gave the people of Harwich houses in the aftermath. Now the adjoining Sweden Close and Norway Crescent serve as a reminder of that help. The Port was named Parkeston Quay, after “Charles H. Parkes”, Chairman of the GER. 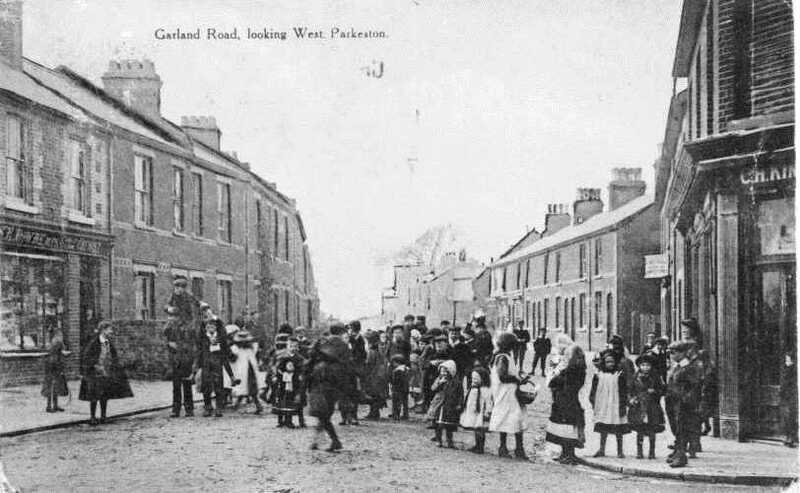 The existing railway line was re-routed to pass through the port, Most of the terraced housing in Parkeston was built for railway employees and some of the streets in the village have names that can be theoretically linked to the shipping and general activities of the railway. There can be very few examples of a village created by a railway company to house the company’s workers for their very extensive railway and shipping services. Samuel Pepys had been made a freeman, and with Sir Anthony Deane, was elected in 1679 as a Member of Parliament to represent the borough at Westminster. Their election was surprisingly easy in view of their close association with the King’s brother James, Duke of York, at the Admiralty, for he was a central figure in the fierce anti-Catholic feeling aroused by the Popish Plot of Titus Oates. Both Pepys and Deane had been sent to the Tower of London in May 1679 charged with selling naval secrets. They were released on bail and eventually cleared in June 1680. Pepys and Deane had been returned for Harwich at the election which followed the death of Charles II in 1685 but the fact that they served James when others were preparing to betray him meant the end of their careers in Parliament and at the Admiralty. Sir Isaac Rebow descended from Flemish Protestant refugees and the grandson of a weaver, Rebow made a fortune in the clothing industry, becoming one of the leading men in Colchester, for which he was returned at the Revolution as a Whig. He was knighted by William III, who used to stay at his house on the way to and from Harwich. Re-elected in 1715, he consistently supported the Government. Defeated in 1722, he petitioned, but though twice renewed his petition was not heard. He died 6 Sept. 1726, leaving the bulk of his estates to his grandson, Isaac Lemyng Rebow. Named after “The Lady Tyler” a paddle steamer operating out of Parkeston Quay. 1880-1893. Named after the daughter of the vicar of Ramsey. Nicholas Vansittart. was born on 29 April 1766 in Old Burlington Street, London. He was the fifth son of Henry Vansittart (1732-1770), governor of Bengal, by Emilia, daughter of Nicholas Morse, governor of Madras. On his father being lost at sea in 1770, Nicholas was placed under the guardianship of his uncles, Sir Robert Palk and Arthur Vansittart. On 16 June 1814 he received the honorary degree of D.C.L. High Steward of Harwich 1823-1836 and was one of the longest-serving Chancellors of the Exchequer in British history. Named after the late Bill Bleakley, who served as a Tendring District Councilor for many years representing the Harwich Wards, he was also a former Mayor between 1970-1971 served as High Steward for Harwich for 25 years. Mr. Bleakley passed away in 2007.